Gina Burton set up Glandular Fever Help Services in 1998, at the age of 28. 10 years prior she had suffered a particularly harsh bout of glandular fever which left her with on-going health and energy problems. Bouts of troubles persisted through her A levels, University years and right through into her early/mid 20s as her career was just beginning to flourish. After continuing to suffer set backs with bad bouts of extreme faigue and recurrent glandular fever symptoms she decided to give up her career in finance and pursue various avenues of study in complimentary medicine with a view to trying to work out how to get her body back on track. Fortunately she was successful and worked out a way to manage her health and energies as effectively as possible. Gina already has a BSc (hons) in Sports Science specialising in sports nutrition, but her further studies in the more complimentary area of Nutritional Therapy, in particular, really helped her to support her own body and get her life back on track. Because of this success she decided to set up a service to help others in similar frustrating situations as very little help can be offered from regular medical avenues . . . there is no magic quick fix cure. Like the majority of people who come through to Glandular Fever Help Services, Gina has always been a very keen sportsperson having played hockey and tennis to club and county level. 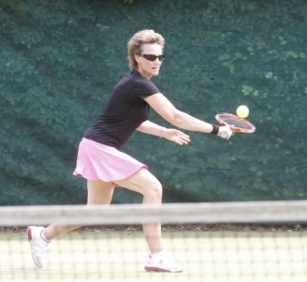 She still plays tennis and represents Nottinghamshire in the over 40s Seniors GB leagues. Whilst studying and then through the early days of running Glandular Fever Help Services, Gina set up and ran children's tennis training sessions and summer camps to enable her to fund her further studies and sustain Glandular Fever Help Services as it developed. 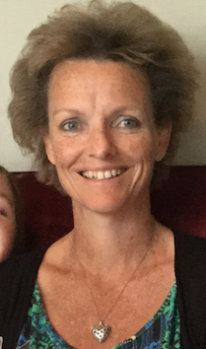 Gina has worked with many troubled post GF sufferers over the last 20 years, advising more than 3000 people over the world who have continued to be troubled after a harsh case of glandular fever, with recurrent bad bouts and just never having felt 100%. Gina has great empathy with the situation you find yourself in, having gone through it all herself. She particularly understands the frustrations of those with a sporty/active disposition, during the post glandular fever troubled state, when life can be intolerable not being able to 'do' and 'get on' with your pre-glandular fever 'normal' active life! She understands that most people will not understand the type and level of fatigue you are dealing with and the inconsistent and erratic health and energy levels you have to cope with on a day by day / week by week basis. It is very common for sports-people and very active types to come down with glandular fever and struggle afterwards to regain their former levels of activity, performance, energy and health.